Shaare Zedek isn't just a community that prays together – it's a community that cares about people. These are a few of the ways we build connections and look after each other. Our rabbi and Chesed Committee reach out to those who need extra support or care, at exceptional times and throughout the year. Our community includes young and old, welcoming new babies or struggling with chronic illness. We are blessed to have seniors who are Holocaust survivors or who have very personal stories of escape from World War II-era Europe. To all, we seek to extend compassion and show concern. 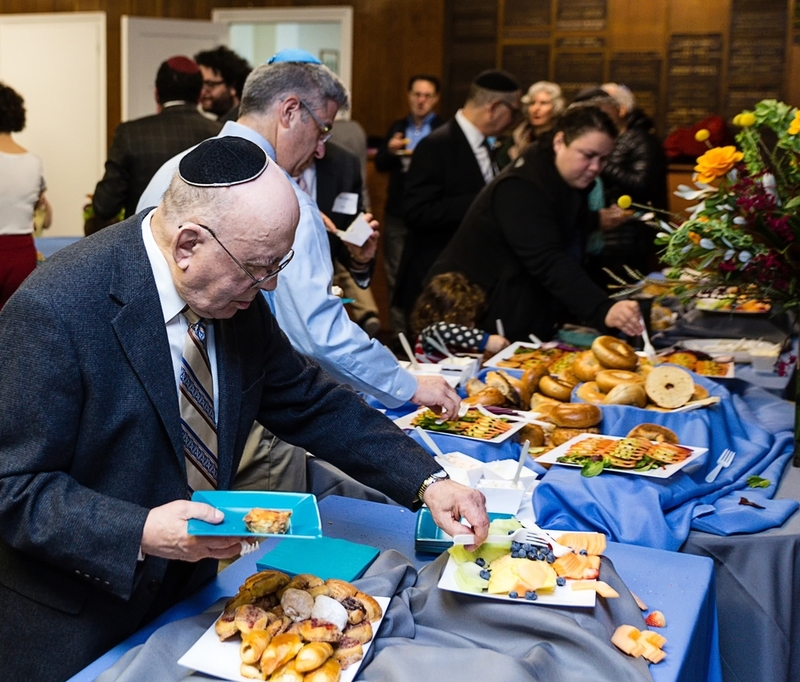 We come together over a full kiddush lunch nearly every Shabbat of the year, which is the social scene of our congregation. Our families with children gather for kid-friendly meals and events. We put on parties for Simchat Torah, Chanukah, and Purim. The Shaare Zedek Bridge Club meets every Monday evening from 6:30 - 9:00 PM. Begun in October 1992 by the former Shaare Zedek Men's Club, the group has played every week except for holidays! Entrance is $5 per person, payable at the door. Light refreshments are provided. No RSVP is necessary. Please contact Ellen Reiss for more information. Shaare Zedek was honored to be included in the 2016 synagogue training program for UJA-Federation of New York's Live With Purpose initiative. As we aspire to be better citizens of our local and global communities through shared action, our rabbi and lay leaders have chosen to focus our social action efforts on issues related to immigrants and refugees. Please refer to our calendar of events for more information about learning and action.